Well, If you are on the higher side of the scale, the outfit part will haunt you! (it did haunt me for sure). But the easiest way out is to not focus on the fashion part. Pick something that is not too loose, as loose clothing may hamper your workout. Pick something comfortable, and with no loose ends or frills. A simple cotton or hosiery Track pants & a Tee work just great! Often ignored, Sports shoes are THE-MOST-ESSENTIAL items you must have if you intend to exercise. Whether you need them for running, or for a firm grip when exercising in the Gym, either ways, a comfortable and flexible pair of sports shoes is your best friend. Select a shoe that seems durable and is lightweight. There is also a crazy amount of variety available in the market – so choose the one that fits your style and your budget! These gym essentials can be hazardous for health if ignored. The next on our list of gym essentials is a sipper. As underrated as the need for sippers is, a free flowing sipper is your buddy as well as a style statement. It is a well-established fact that one needs to stay hydrated during their work out session. A sipper, as compared to a bottle, allows you to sip water slowly, instead of gulping down quickly. This helps to hydrate your body, without dropping your body temperature too much. The heat generated during work outs is essential to continue with the rest of the day, and gulping large amounts of water in-between your workout can cause more harm than good. Where there is work out, there is sweat. And to wipe those precious post-workout drops of sweat you must have a hand towel handy. Any hand towel, with a soft fur and good absorbency, should become your best buddy! Always keep a pack of 3 or more handy, so you can change one every day and have enough pieces to rotate before you could wash and dry your laundry. Multiples of these Gym essentials is recommended. Ok, now this one, I could have lied – this is not an essential for the workout per se – but when you are hitting the gym, might as well do it with style. A Gym Bag is any day better than carrying your hand towel, spare set of clothes and all of that in a plastic bag! (D’oh! No No!! )From really funky to absolutely classy – your Gym bag speaks of your personality. Flaunt a cool one at the Gym and well – it also carries all your other gym essentials in it. So it’s a win-win!! If for now, you are too worn out or even just lazy to walk to the market and soak in the hot and humid weather, you can also try shopping online. My personal recommendation is Myntra!! Great collection, affordable rates and the most convenient return policies EVER!! So, what are you waiting for? Add the shoes, the outfits, the sippers to your gym bag and head to the gym. Every minute delayed, is every minute wasted when it comes to fitness. If you like what you read, do SHARE the article with your friends. Is there a gym essential that we have missed? Let us know your views in the comments section below. Disclaimer: This is a sponsored post, but the views and opinions expressed in the article are the author’s alone. These are the bare essentials and a must have. Everyone starting to kick off with Gym, kindly note. That’s some great advice!! Yup – music is so essential. I use all these essentials when I visit my Yoga Classes too. They are necessary during exercising. I totally agree with all the essentials you have mentioned! Bang on! Out of all u shld be a consistent person to go to gym regularly…. 😜😜😝😉😀 good checklist…. Agree these essentials of gym are very important for starting gym classes. All these looks very sporty one. Great advice from you. Nice write up. Although I totally agree with essentials mentioned here, however I also feel that most important is will power, commitment and dedication as most of us leave gym and give up very soon ! For me sports bras and shoes are must have. This post is apt for newbies joining gym. 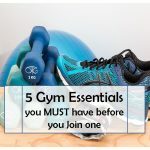 Gym essentials are really necessary before we join the gym.. great post for gym enthusiasts.. Very helpful post to pick right kind of gym wear. Wonderful collections of gym essentials. Great thought. THis is a useful list. I have been gymming lately. I definitely also carry a face cloth. This is really informative post for beginners. Great write up. This is a good check list plus a great shopping portal- so will definitely chk this out since I plan to go gymming soon! Great list to start gymming on the right note. A great pair of shoes are a must. I made my list. Thanks. Now, the next stop is Myntra. A good playlist of hip hop songs. Motivates during the gruesome gym sessions. Your post reminded me of my gymming days. This is indeed a very useful list and Myntra seems to be having some great options. A list to follow. You’ve covered everything that could possibly be needed. Good job! I swear by #Myntra too, great choice and prices! This is an absolutely follow to the T list. Going to the gym is a style statement in itself. So one cannot afford to compromise on the gym gear.